A few weeks ago I received the honor of being asked to teach at the LA Academy of Figurative Art in Van Nuys, CA. They are primarily an Atelier school focusing on a strong foundational approach to drawing and painting, but they have recently started introducing Entertainment based classes into their curriculum. 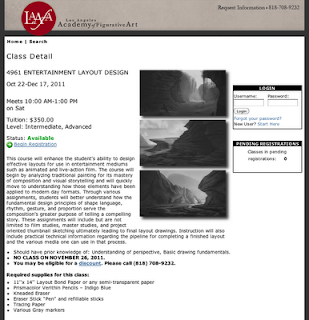 I will be running a class introducing the principles of composition and layout as they apply to Entertainment mediums. I've always felt that a lot of classes only cover composition as it applies to the specific piece being critiqued due to time constraints, so I wanted to focus on really understanding the design principles that create interesting and compelling compositions. 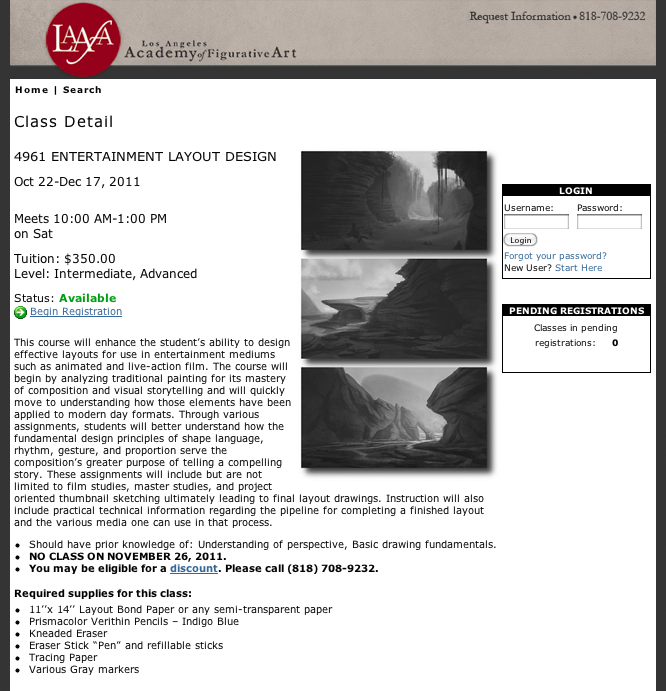 This class won't be a heavily digital class as no painting is required, and quite honestly, very minimal value as well. By removing the need to render or light, I felt that I could really focus on the elements that form the composition - namely shape, line, rhythm, proportion, style, gesture etc to name a few. Congrats man! Thats way cool. Remember: instill sheer terror the first day and don't let up. Yelling a lot helps. Congrats Mauricio, you have all the tools needed. Excellent, my friend! Carry on. Excellent! Share your wisdom to the world! !